Blackheads are common and annoying and they often occur when your skin pores get clogged with dead skin cells and excess sebum. A black head occurs when the skin pore is open, the skin cells or sebum oxidizes and becomes black. Now, if you have some blackheads on face and in ears and want to get rid of them, read on this article right now. 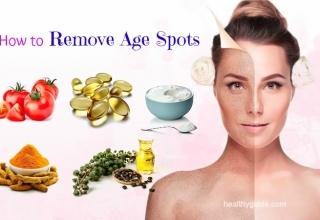 If you want to know some of the best beauty advice that you should follow when taking care of your skin areas where you often see blackheads, read on this entire article and then try to follow one or more of these home remedies for good. Blackheads are small bumps and they often appear on your skin because of clogged hair follicles. They are called blackheads as the surface looks black. Generally, blackheads are a mild acne type that forms on the face, back, neck, chest, shoulders and arms, etc. When it comes to ways on how to get rid of blackheads on back, chin, nose, face, and in ears, “shrinking” your skin pores down may be helpful. According to a study about the uses of lemon for blackheads , lemon juice has astringent properties that can shrink the pores, remove blackheads and lighten skin temporarily. However, lemon juice can make your skin sensitive to the sun, so if you apply this home remedy, remember to apply sunscreen before getting out of the house. Also, if your skin is sensitive, remember to dilute the lemon juice with water before applying it directly to your skin. At first, rinse off your face and then pat it dry. 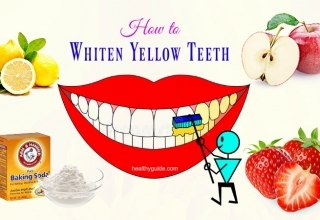 Then, dip a cotton ball into the lemon juice and apply it to affected skin areas before going to bed. The next morning, rinse it off with warm water and then apply moisturizer as normal. Repeat this process about 3- 4 times a week. List of 22 Homemade Juices For Glowing Skin In A Week will reveal some of the homemade juice recipes for glowing skin, so check it out! According to a research about the use of oatmeal in skincare , oatmeal is safe and effective in treating a few skin conditions, including sensitive skin and blackheads. Also, oatmeal works as a natural exfoliant and cleanser to loosen clogged pores that cause blackheads. Moreover, oatmeal contains powerful anti-inflammatory properties as well. Therefore, it can soothe irritation, eliminate excess oil and remove dead skin cells. Cook just enough oatmeal to cover all of the blackheads. Remember to use distilled water that has no contaminant. Allow the oatmeal to cool down before applying it to your affected skin areas. After that, apply it to your blackheads. Leave it on for 10- 20 minutes before washing it off with warm water. Apply this treatment once a day for the best results. 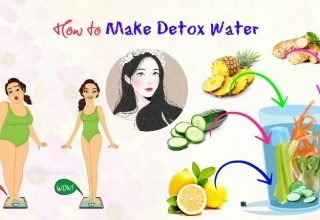 Read on 24 Tips On How To Cleanse Your Body At Home to discover some of the best ways that can help you cleanse the body naturally at home. 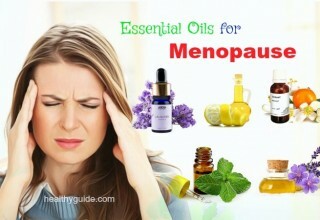 Apply it over your affected skin areas before going to bed. Repeat this home remedy every night before you go to bed. Note: You should dilute the tomato juice with equal amounts of water if your skin is sensitive. In some cases, the only thing you need to do is to have a good exfoliation followed up by moisturizing. According to a study , exfoliating can clean away dead skin cells and temporarily increase blood circulation, leaving you with a soft and healthy skin. Besides, you can also use jojoba oil, olive oil, grapeseed oil or sweet almond oil for the better result. Mix 4 tbsp. of jojoba oil into a cup of white or brown sugar. Mix it well until it is fully incorporated. Then, add a few drops of essential oil to it. After that, wet your face and apply some scrub onto your affected skin areas. Gently massage it in circular motions. Finally, rinse it off with clean water and moisturize your skin as usual. Repeat this home remedy 2-3 times a week. Exfoliation can help remove blackheads by removing dead skin cells from the skin and the process of exfoliating is good for both dry and oily skin. Oatmeal is a natural exfoliant, and it also consists of anti-inflammatory properties. 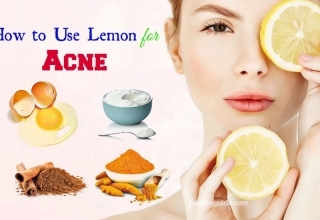 Lemon juice can kill off bacteria causing acne and blackheads. Olive oil and yogurt provide your skin with essential nutrients, leaving your skin healthy and glowing. Mix 2 tbsp. each of ground oatmeal and yogurt. Use this exfoliating mask 2- 3 times a week. 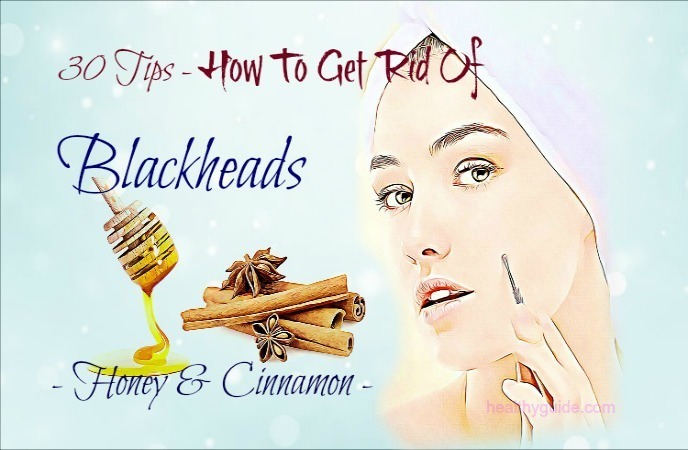 When you combine cinnamon and honey, you can make a wonderful solution for getting rid of blackheads. Honey contains anti-bacterial properties, which can help kill off bacteria causing acne and it also works as the adhesive to prevent something from clogging your pores. Cinnamon helps improve blood circulation, thus giving your skin a healthy, smooth and glowing look. At first, mix raw honey and cinnamon in a ratio 1:1. Then, press a piece of clean cotton over it. Leave it on for about 3- 5 minutes before washing it off. Mix some water with enough baking soda to create a thick paste. Gently massage this paste into your skin in circular motions. Finally, pat it dry and moisturize your skin as normal. Steaming can open your skin pores and reduce the appearance of blackheads by softening trapped dead skin cells and sebum that can contribute to the formation of blackheads. 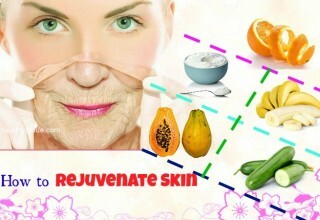 Therefore, steaming is actually one of the best tips on how to get rid of blackheads on face that you should try out. At first, fill up a bowl with hot water. Then, cover your head with a clean towel and steam it out for 5-10 minutes. Be careful not to be too close to the hot water bowl. When you are done, wash off your face with warm water. Finally, pat firmly but gently dry using a clean towel and moisturize as usual. Repeat this method a couple of times a week. According to a research about bentonite clay benefits , bentonite clay has healing properties that has been used to treat many skin problems. It can draw out oils as well as other impurities accumulated in your skin pores. Also, it helps improve blood circulation, which can help with skin health. So, if you want to know how to get rid of blackheads on face, you should give it a try. Mix 1 tbsp. of Bentonite clay with enough water or apple cider vinegar to form a thick paste. Allow it to sit on for about 10- 25 minutes. Finally, rinse it off with warm water and then moisturize it as usual. Next, apply a bit of egg white over your facial skin. Place a piece of facial tissue over the egg white. Gently press it onto your facial skin. Let the first layer dry on its own. Then, apply the second layer of egg white over this facial tissue. Allow this layer to dry as well. You can apply the third layer if desired. After that, gently wash it off to remove any residue. Finally, pat it dry and apply a moisturizer as usual. Both milk and honey have essential properties that are great for skin health. The antibacterial properties found in honey as well as the lactic acid found in milk can help keep the skin supple and soft. When mixed together, this mixture can work as an adhesive. At first, mix 1 tbsp. of raw honey with 1 tsp. of milk to create a paste. Heat it for about 10 seconds in the microwave before mixing it again. When it cools down, apply a thin layer of this mixture over your blackheads. Next, gently pat a piece of cotton onto it. Allow it to dry naturally for at least 20 minutesbefore peelingit away. Finally, rinse it off with cold water and then apply a moisturizer as usual. There are other effective ways on how to get rid of blackheads in ears in this entire article. 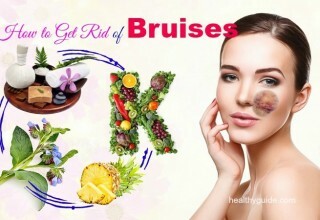 Keep reading this article and then try to apply one or more of these home remedies for good. You can make your own toner by combining apple cider vinegar and crushed mint leaves together. 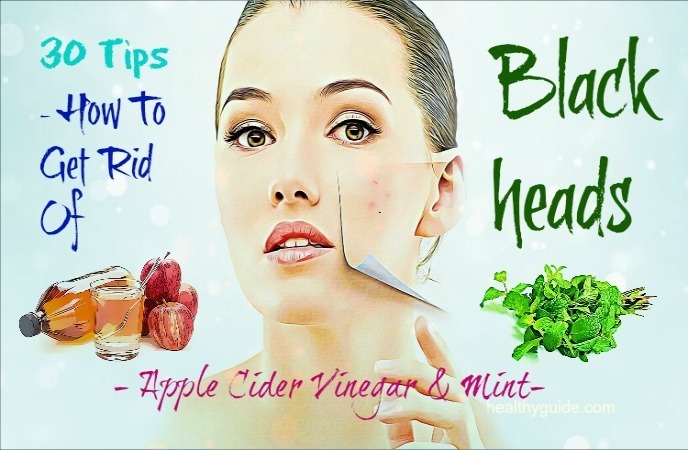 Actually, apple cider vinegar can help remove something causing the blackhead;while mint leaves can create a cooling sensation on your skin. If your skin areas around the blackhead are irritated or swollen, the menthol can help deal with inflammation. Combine 3 tbsp. of apple cider vinegar and 3 tbsp. ofcrushed mint leavesand store it for 6- 7 days in cool dark place. Store it in the refrigerator for 4- 6 days. Rinse your face with clean water before applyingthis toner with the help of clean cotton balls. Leave it on for a couple of hours or overnight and wash it off the next morning. Finally, pat it dry and then follow up with a good moisturizer. Other ways on how to get rid of blackheads in ears must include using green tea. Green tea is one of the main ingredients to produce skin care products designed for acne treatment. The essential vitamins and antioxidants found in green tea can help eliminate excess oil, relieve inflammation and protect the skin from future damage. Boil about 8 ounces of water and then steep 2 green tea bags in boiling water for one hour. Pour it into a glass and let it cool down. Then, apply this liquid onto your blackheads and wait for about 10 minutes. Finally, rinse it off with cool water, pat it dry and apply a moisturizer as usual. Repeat this treatment once per day. Cut a lemon in half and then cover the lemon’s surface with enough honey. Gently massage your affected skin areas in circular motions with this natural ’sponge’. Apply some fresh aloe vera gel onto your facial skin. Do this natural treatment daily for a clearer skin. Honey is rich in antibacterial and antiseptic properties that can support to remove blackheads from your skin by destroying impurities or germs that can clog pores, making it a great solution for those are suffering from acne-related blackheads. Addition to this, honey also works as a natural antibiotic, aiding to remove dirt from the kin pores to clear blackheads, tightening the skin pores for a clearer skin complexion. Heat 1 tbsp. of raw honey until it is warm. Apply some warm honey onto your affected skin areas and leave it on for about 10 minutes. Then, wash it off with the help of a warm, damp cloth. Alternatively, you can leave it on overnight for better results. Rinse it off the next morning. Repeat this home remedy on a daily basis. Epsom salt can help you reduce sore muscles and remove blackheads. While most of the natural treatments in his article dissolve the oil and dead skin cells, the Epsom salt mixture can wash away each of the clogged pore. Actually, using Epsom salt is also known as one of the best tips on how to get rid of blackheads in ears that you should try out. Stir it well until the salt has dissolved. After that, allow this solution to cool down until it is warm. Massage it into your affected skin areas and let it completely dry. Finally, wash it off with warm water before patting it dry with a clean cloth. Note: If you have dry skin, apply a good moisturizer to prevent skin dehydration. Turmeric is known as a great healing ingredient. The compound called curcumin found in turmeric is antimicrobial in nature and it can help remove the bacteria from your skin pores. Addition to this, turmeric also contains antioxidant and anti-inflammatory properties, which can improve your skin health. Mint juice has cooling properties and it can soothe your skin. Mix 1 tbsp. of turmeric powder with 2 tbsp. of mint juice to create a paste. Finally, rinse it off with warm water and then moisturize the skin area. Repeat this natural remedy once a week. This is one of the best tips on how to get rid of blackheads on face that I want to reveal in this entire article and want all of my readers to know and then apply for good. Turmeric has antioxidant and anti-inflammatory properties, making it a wonderful spice for eliminating blackheads. This cooking spice will stain your skin, so you can try using Kasturi turmeric to avoid staining your skin. At first, mix some Kasturi turmeric with coconut oil or water to create a paste. Use this natural treatment on a daily basis to prevent future blackheads. Using strawberries is also known as a great way on how to get rid of blackheads on nose, chin, face, back, in ears that you should try out. It helps reduce the inflammation, swelling and simultaneously cleanse the clogged skin pores. Moreover, strawberry is also a natural exfoliant for our skin. This healthy fruit also has high content of vitamin C, which helps improve dry skin. Crush one strawberry and add ½ tsp. each of lemon juice and honey to it. Then, mix it well in order to create a coarse paste. Fenugreek is good for the body through either oral consumption or topical application. It has antioxidants and emollient and anti-inflammatory properties. 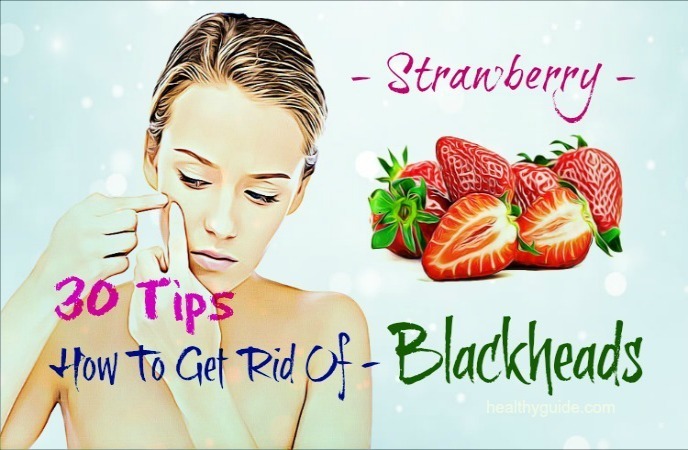 Therefore, it can clear blackheads from your skin effectively, making it one of the best tips on how to get rid of blackheads on chin, nose, face, back, in ears that you should know and then follow for good. Grind some fenugreek leaves with water to create a smooth paste. Pat it dry and then apply a moisturizer. Aspirin contains anti-inflammatory properties and using aspirin can help reduce the swelling and redness at the affected areas around blackheads. Also, it helps remove the blackheads and dead skin cells. Moreover, using aspirin also reduces the skin pore’s size and prevents blackheads from forming in the future. Crush 3- 4 aspirin tablets and mix with some water to create a paste. For dry skin, you should add several drops of almond oil. And if you get oily skin, you should add some lemon juice. Apply this paste to your affected skin areas and leave it on for about 10-12 minutes. Finally, rinse it off with clean water and then moisturize the skin. Use this face mask 1-2 times a week. Note: Add lemon juice or almond oil based on the type of your skin. When it comes to ways on how to get rid of blackheads in ears, you should try using milk. Applying some milk to your affected skin area can help remove the blackheads. This is because milk contains lactic acid, which can remove the dead skin cells. Apply some raw milk to your affected area and then scrub in a gentle way. Repeat this natural treatment on a daily basis for the best result. Note: If you are allergic to raw milk, you should use other remedies instead. When you apply a face mask with activated charcoal on your face, it can absorb all the impurities and simultaneously clear your blackheads. The bentonite clay can enhance the face mask’s ability to absorb impurities. At first, remove the activated charcoal from two capsules and then add ½ tsp. of bentonite clay to it. Finally, rinse it off with warm water and then moisturize as normal. Do you want to know other ways on how to get rid of blackheads in ears that you can apply with ease at home? Keep reading this entire article and then try to apply one or more of these home remedies for good. When you apply jojoba oil onto your skin, it can decrease the excess sebum production that was one of the main causes of clogged pores. This treatment can unclog clogged skin pores, helping you get rid of acne and blackheads. Rinse your facial skin with warm water and then pat it dry. Repeat this treatment twice a day until you achieve your desired result. Note: You can also add a few drops of tea tree oil to this for the better result. In fact, using jojoba oil is known as one of the greatest ways on how to get rid of blackheads on chin, nose, face, back, in ears and on face that you should not look down, yet try to apply as soon as possible, especially if you want to get rid of acnes and blackheads at the comfort of your own home. Castor oil is well- known for its cleansing properties. Also, it can absorb the impurities and simultaneously clear the debris clogged in your skin pores that cause acne and blackheads. 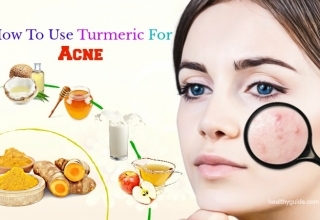 Therefore, if you want to look for a natural way on how to get rid of blackheads on chin, nose, face, back, in ears, you should consider applying this home remedy at the comfort of your own home. Then, gently massage it for 1-2 minutes. Do this home remedy every night before you go to sleep. It may be surprising to know that coconut oil can work well to remove blackheads. Actually, coconut oil can nourish your skin and eliminate dead skin cells, making it one of the best tips on how to get rid of blackheads on chin, nose, face, back, in ears that you should try out. Repeat this home remedy on a daily basis before you go to bed. Mint toothpaste can be very effective in clearing acne and blackheads. Actually, the mint found in the mint toothpaste can open up your clogged pores and simultaneously kill off bacteria causing acne and blackheads. The application of ice cube in the end can help close your skin pores and also prevent blackheads in the future. Allow it to dry for about 5 minutes. Finally, rinse it off with water and then place an ice cube on the affected skin area. Note: Remember to moisturize your skin after applying this remedy. Green leafy vegetables such as collards, spinach, mustard greens and turnip greens. 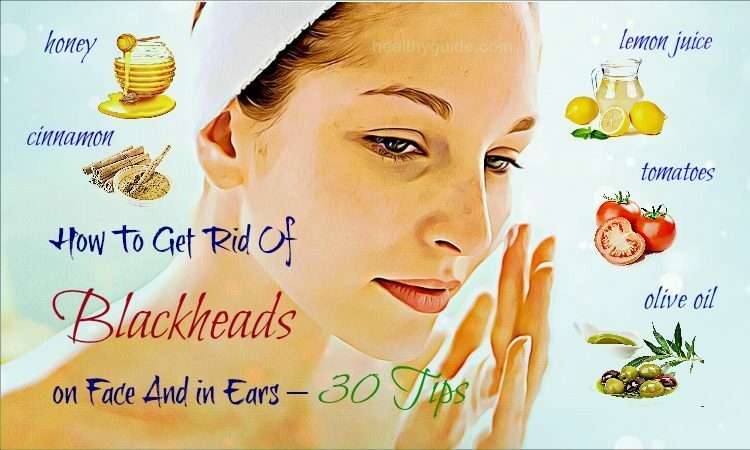 After reading this entire article about top 30 ways on how to get rid of blackheads on back, chin, nose, face, and in ears, we hope that you and my other readers of Healthy Guide can apply one or more of these home remedies at the comfort of your own home. 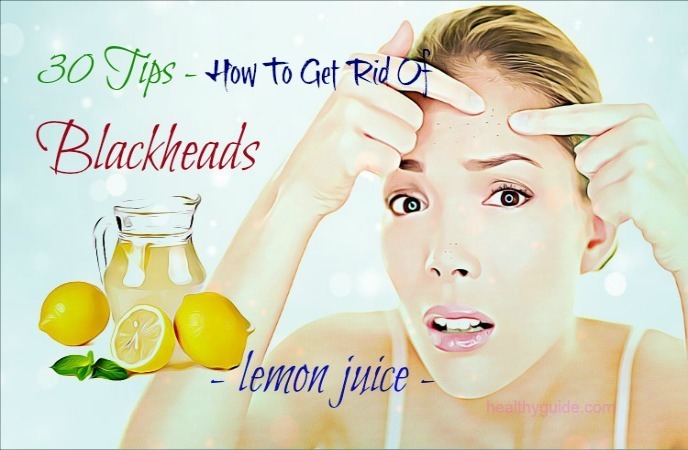 Actually, all of the home remedies for blackheads as I mentioned above are safe and effective in removing blackheads from your skin on face and in ears without causing any unwanted side effect. 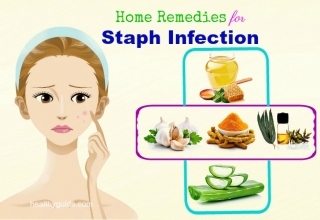 So, you do not need to worry when applying any of these home remedies. 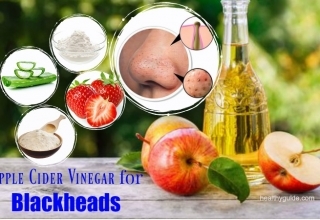 Addition to this, if you know other people around you who are trying to deal with their blackheads naturally, you should feel free to share this list with them and then stimulate them to apply these home remedies as soon as possible. Also, if you know other effective ways on how to get rid of blackheads on back, chin, nose, face, and in ears, remember to share them with other readers by leaving your comments below.